Start your day with a blueberry smoothie to bump up your blood vessel health. A study conducted at Louisiana State University showed endothelial function improvement when patients with Metabolic Syndrome consumed 45g blueberry powder in their morning smoothie for 6-weeks. Metabolic Syndrome is a condition involving large waistline, high triglyceride levels, low HDL cholesterol level, high blood pressure and high fasting blood sugar. Worldhealth.net summarizes the study: “A risk factor for diabetes and heart disease, Metabolic Syndrome is a condition involving a large waistline, high triglycerides level, low HDL cholesterol level, high blood pressure, and high fasting blood sugar. April J. Stull, from Louisiana State University (Louisiana, USA), and colleagues enrolled 44 adults with Metabolic syndrome, in a six-week long study in which participants were randomly assigned to receive either two blueberry smoothies (each containing 45 g of freeze-drive blueberry powder providing 1547 mg of total polyphenol bioactives) per day, or a smoothie without blueberry powder (placebo). Among the subjects consuming the blueberry smoothies, the researchers observed a significant improvement in endothelial function, but no change in blood pressure or insulin sensitivity. 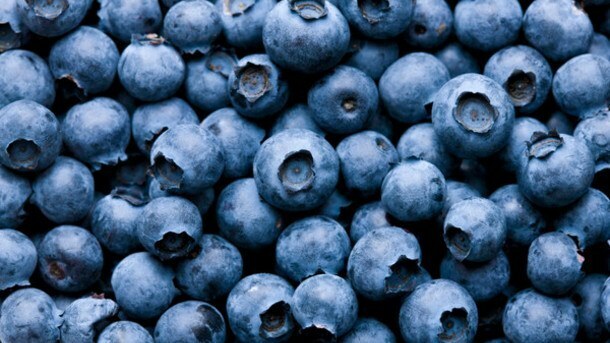 The study authors report that: “Even after adjusting for confounding factors, i.e., the percent body fat and gender, the blueberry group still had a greater improvement in endothelial function when compared to their counterpart.” (Blueberries Bump Up Blood Vessel Health, 2015).